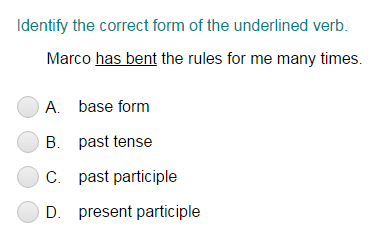 What did you think of Identifying the Correct Tense Form of the Verb ? Regular : The kids played till late evening. Irregular : He ran fast to catch the train.